Do I have full, root access to the server? What happens if I require just extra disk space / RAM? What is an SSD and Why should I use it? The solid state drive (SSD) is widely considered an improvement over its competitor, the hard disk drive (HDD). Recent innovations in the solid state version, which contains no moving parts, have raised its performance capabilities: it is now up to 100 times faster than a hard drive. One reason it is so fast is that a hard drive can experience fragmentation as the disk starts to fill, while an SSD can access any part of the disk immediately because it due to its lack of a moving read/write head. Is there any downtime when I switch from one Windows Cloud Server plan to another? Yes, there is a short downtime to upgrade your Windows Cloud Server. Please allow 10-20 minutes for the upgrade to complete. If I purchase your Windows Cloud Server plan, how soon can you setup my server? Upon payment verification and completion, your Windows Cloud Server will be provisioned within 5-10 minutes only. We offer Windows SSD Cloud Servers optimized for your use, without the need to sign a contract. Our SLA states our commitment to provide 100% uptime. You only pay for the resources that you need, moment by moment. We have live technicians on staff 24/7 to support you. Will my Windows Cloud Server go down? Yes, it is still possible for your Windows Cloud Server to go down and this is due to the several factors, such as your server usage, the availability of the resources on the server, the traffic to and from your server, etc. If, let's say, you order our Windows Cloud Server Starter Plan, the server will have 1 GB RAM installed. If your usage is nearly 1 GB, your server will have problems. Another example: this Starter Plan Cloud Server has 1 GB RAM and if you host a website that attracts many visitors, it can potentially cause issue to your server as well. What we are trying to say here is that your Windows Cloud Server will have 100% uptime if and only if you use the server decently and properly. If your server requires extra resources to run, it is time for you to upgrade to our higher Windows Cloud Server hosting plan. Can I install my own software on the server? Do you provide full Windows backup / restore? The backup / restore service are provided on the Managed Service option. 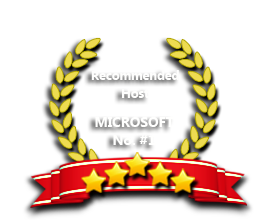 The price listed on this page is for the Un-managed service, which means that we will deliver the Windows Cloud Server with Windows Data Center OS Edition installed. You will be responsible to setup the rest of the server yourself. What is the Managed Service that you offer? With the managed service option, we will manage the server on your behalf. These include daily/nighly Windows Server backup (up to 2 weeks old data), DDoS Prevention, periodical Windows Update, Anti-Malware prevention, Anti-Virus prevention, etc. If you choose an un-managed service, you will have to maintain the server on your own. The cost of the managed service will be determined by the Windows Cloud Server Plan you chose.